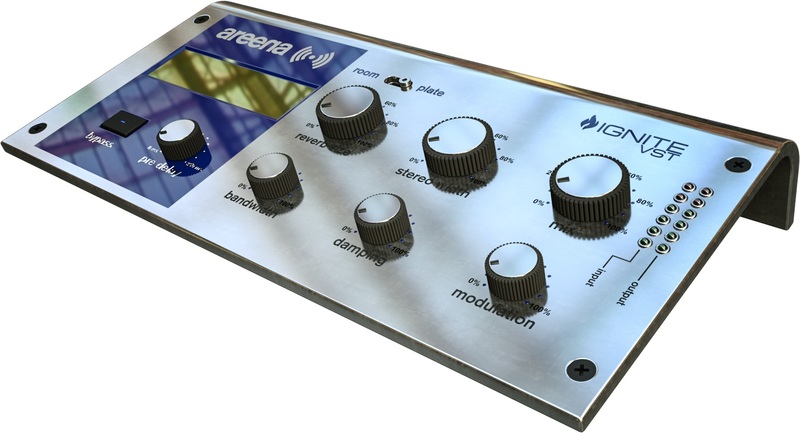 Areena is Initial Audios algorithmic reverb featuring plate and room algorithms. Plate emulates the sound of real hardware plate reverbs, while room was designed to emulate a small room. 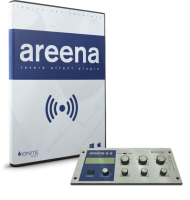 Areena was designed to sound very natural but also comes with a modulation control. 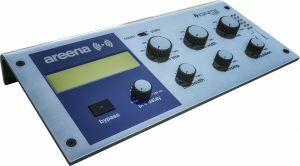 This control can add subtle variations to the reverb or can make the reverb sound unnatural for a more experimental sound. Modulation simulates the effect of the walls of a room moving, of course this never happens in the real world but can be an interesting effect. Areena is really simple to use and sounds great. Try the demo and hear for yourself. Bandwidth, limit the frequencies entering the reverb. Damping, control the rate at which higher frequencies fade from the reverb. 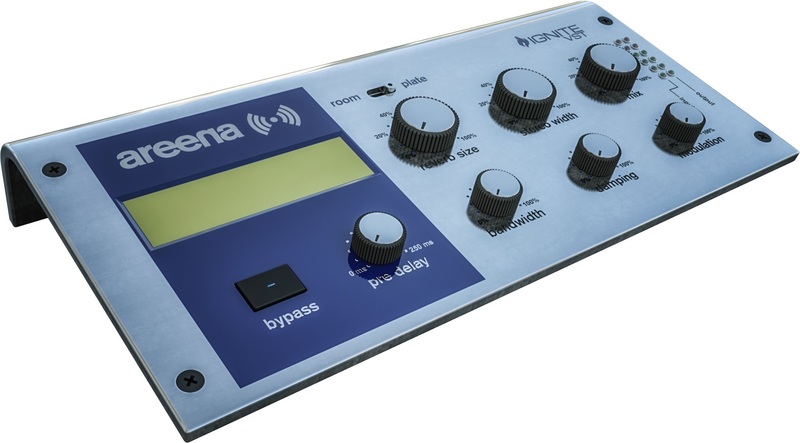 Stereo Width, make the reverb sound more stereo or more mono. Modulation, simulates the walls of the room moving at a set frequency.